2019 3rd International Conference on E-commerce, E-Business and E-Government (ICEEG 2019), 18-21 June, 2019, Lyon, France (conference chair). 2018 International Conference on Economics, Society and Management (ICESM 2018), 5-7 July 2018, Beijing, China (conference chair). 2018 International Conference on Decision Support System Technology (ICDSST 2018), 22-25 May 2018, Crete, Greece. 2016 International Conference on Decision Support System Technology (ICDSST 2016), 23-25 May 2016, Plymouth, UK (conference local chair). - 2013-2014 UK Higher Education Academy (HEA) seminar series, workshop on "Exploring innovative approaches to experiential teaching and learning in Management Decision Making education", held on 23rd April 2014 in Plymouth. 2019, Liverpool John Moors University, UK. Thesis title "Freight Transport Modal Choice in North West England’s Atlantic Gateway". 2018, Universidade Federal de Pernambuco, Brazil. Thesis title "Multi-criteria web-based decision support system for resource allocation in Brazilian public universities". 2018, Liverpool University, UK. Thesis title "4 step fact-based framework for solving product quality problems". 2018, British University in Dubai, UAE. Thesis title "The relationship between leadership and project staff turnover". 2017, Loughborough University, UK. Thesis title "A decision support framework for sustainable supply chain management". 2017, Huddersfield University, UK. Thesis title "Modelling an end-to-end supply chain system using simulation". 2017, Liverpool University, UK. Thesis title "Design and evaluation of sustainable packing in supply chain". 2016, University of Cape Town, South Africa. Thesis title "WiMAX spectrum virtualization and network federation". 2015, University of Strathclyde, thesis title "A strategic operations framework for disassembly in remanufacturing". 2014, University of Central Lancashire, thesis title "Evaluation of business benefits of SaaS-based integrated enterprise systems for SMEs". 2014, University of Strathclyde, thesis title "Improving the process of cleaning in automotive remanufacturing". 2013, University of Toulouse (France), thesis title " Decision support for infrastructure network vulnerability assessment in natural disaster crisis situations". 2013, Manchester University, Manchester Business School, thesis title "Knowledge Sharing by Using Knowledge Management Systems to Support Decision-Making Process in Multinational Corporations". 2013, Liverpool University, Liverpool Management School, thesis title " Carbon emission policies impact in logistics supply chain networks". 2013, Greenwich University, Greenwich Management School, thesis title "Decision Support for Operational ERP Systems Implementation in Small and Medium Enterprises". Lean knowledge management for global supply chain integration decisions, Jiang Pan. Knowledge networking and mobilisation framework for lean supply chain decisions. 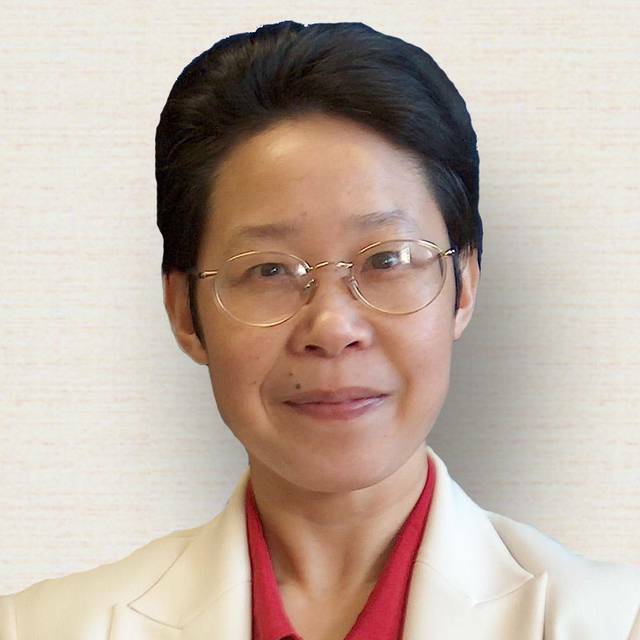 Huilan Chen. The alignment of business and information systems for improving e-Government performance. Sulaiman Alfadhel. The impact of inter-organisational knowledge management on supply chain resilience. Guoqing Zhao. Business model addressing social-economic dimensions for technologydevelopment in AD diagnosis and healthcare, Bin Gao (Marie Curie Fellow on BBDiag project). Innovative business model addressing the full value circle for technology development in brain cancer diagnosis and healthcare. Aira Ong (Marie Curie Fellow on AiPBAND project). Logistics and production management: cost and investment analysis. Michael Radler. DoS - Prof Klaus Meier. Supply Chain and Corporate Strategy, Andy Helming. DoS - Professor Klaus-Jurien Meier. 2016-2020, Horizon 2020 project "Enhancing and implementing knowledge based ICT solutions within high risk and uncertain conditions for agriculture production systems (RUC-APS)", funded by European Commission under Marie Curie RISE scheme, €1.3M (WP leader). 2017-2020, Horizon 2020 project Blood Biomarker-based Diagnostic Tools for Early Stage Alzheimer's Disease (BBDiag)", funded by European Commission under Marie Curie ETN scheme, €3.5M (Co-ordinaor: Professor Genhua Pan from University of Plymouth). 2018-2021, EUHorizon 2020 project “An Integrated Platform for Developing Brain CANcerDiagnostic Techniques (AiPBAND)”, funded by European Commission under MarieCurie ETN scheme, €3.7M (Co-ordinator: Dr Xingzhong Li from University of Plymouth). 2017-2019, EU Erasmus Plus project “Innovating youth work to foster youth active citizenship,entrepreneurship and employability (YOU-ACE)”, €197,925 (Plymouth PI: Dr Jonathan Moizer). 2015-2018, Horizon 2020 project "Innovative Quality of Experience Management in Emerging Multimedia Services (QoE-Net)", funded by European Commission under Marie Curie ETN scheme, €3.1M for the project (€547K to Plymouth, with Dr Lingfen Sun as WP leader and Professor Emmanuel Ifeachor). 2014-2015, " An Innovative, Consumer-centric Eco-system for Sustainable Water Resource Management (ICONS)", funded by ISSR Collaborative Awards scheme. 2013-2014, " Exploring innovative approaches to experiential teaching and learning in Management Decision Making education", funded by UK Higher Education Academy (HEA). 2013, Invited Professor, fully funded by French National Research Institute IRIT at the University of Toulouse, with Professor Pascale Zarate. 2012-2013, Lean-KM project (Enabling systematic elimination of production waste to achieve lean operations through decision-focused knowledge management: beyond know-how and know-what), awarded by Social Science Collaboration scheme through University of Plymouth. 2010-2012, GOM (Green Operations Management - integration challenges and decision support) project, awarded by International Research Networking and Collaboration (IRNC) Scheme through University of Plymouth, £10,000. 2011, WEIR (Waste Elimination to Improve Resource Utilization for SMEs’ Sustainability) project , awarded by Research and Enterprise scheme through University of Plymouth. 2010, CoMPaSS (Cost Management in Production and Service Systems) project, awarded by Research and Enterprise scheme through University of Plymouth. 2009, International travel grant, awarded by UK Royal Academy of Engineering. 2008-2011, Doctor Training Account (DTA), awarded by UK EPSRC through NECTISE project (with Professor Alex Duffy), £80,000. 2006-2011, UK EPSRC funded project NECTISE (Network Enabled Capability Through Integrated Systems Engineering, £8.4M), Decision Support Topic led by Professor Alex Duffy, University of Strathclyde. 2006-2009, EU FP6 project VIRTUE (The Virtual Tank Utility in Europe, integrated project, €15M). The Integration Workpackage was led by Professor Alex Duffy at University of Strathclyde. 2006-2009, EU FP6 project SAFEDOR (Design, Operation and Regulation for Safety, integrated project, €18M). (with Professor Alex Duffy, University of Strathclyde). 2004 - 2006, UK EPSRC funded project ICID (Information Content In Documents, £1.5M), led by Professor Chris McMahon and Professor Steve Cully, University of Bath. Oluwafemi Oyemomi, Shaofeng Liu,Irina Neaga, Huilan Chen and Franklin Nakpodia, 2019. How cultural impact on knowledge sharing contributes to organisational performance: using the fsQCA approach. Journal of Business Research 94: 313-319. DOI:10.1016/j.jbusres.2018.02.027. Uchitha Jayawickrama,Shaofeng Liu, Mel Hudson Smith, P Akhtar,and MD Al Bashir, 2019. Knowledge retention in ERP implementations: the contextof UK SMEs. Production Planning and Control (In printing). Yogesh Kumar Sharma, Sachin Kumar Mangla, Pravin P. Patil, ShaofengLiu, 2019. When challenges impede the process:For circular economy-driven sustainability practices in food supply chain. ManagementDecision, https://doi.org/10.1108/MD-09-2018-1056. Sulaiman Abdulaziz Alfadhel, Shaofeng Liu, Festus O. Oderanti, 2019. Ideal pattern of Businessand IS alignment for improving e-government services in Saudi Arabia. Journal of Software 14(2): 92-106. Biljana Mileva Boshkoska, Shaofeng Liu and Huilan Chen, 2018. Towards a knowledge management framework for crossing boundaries in agricultural value chain. Journal of Decision Systems 27(sup1): 88-97. DOI: 10.1080/12460125.2018.1468173. Xuemuge Wang, Shaofeng Liu, Jingjing Xu and Mike Roe, 2018. A Holistic Sustainability Framework for Oil Terminals:The Case of China. Int. J. of Shipping and Transport Logistics (In press). F Annansingh, K Howell, Shaofeng Liu and JM Nunes, 2018. Academics' perceptions of knowledge sharing in Higher Education. International Journal of Educational Management 32(6): 1001-1015. Zhihong Wang and Shaofeng Liu, 2018.Supply chain co-ordination under trade credit and quantity discount with sales effort effects. Mathematical Problems in Engineering. Volume 2018, Article ID 2190239, 15 pages (open access journal). Huilan Chen, Shaofeng Liu and F Oderanti, 2017. A knowledge network and mobilisation framework for lean supply chain decisions in agri-food industry. International Journal of Decision Support System Technology 9(4): 37-48. S Liu, B Delibasic, L Butel and X Han, 2017. Sustainable knowledge-based DSS: perspectives, new challenges and recent advances. Industrial Management and Data Systems, 177(7): 1318-1322-6. U Jayawickrama, S Liu, and MH Smith, 2017. Knowledge prioritisation for ERP implementation success: perspectives of clients and implementation partners in UK industries. Industrial Management and Data Systems, 117(7): 1521-1546. O Oyemomi, S Liu,I Neaga and A Alkhuraiji, 2016. How knowledge sharing and business process contribute to organisational performance: using the fsQCA approach. Journal of Business Research 69(11): 5222-5227. U Jayawickrama, S Liu, and MH Smith, 2016. Empirical evidence of an integrative knowledge competence framework for ERP systems implementation in UK industries. Computers in Industry 82: 205-223. P Zarate and S Liu, 2016. A new trend in knowledge-based decision support systems design. International Journal of Information and Decision Sciences 8(3): 305-324. A Alkhuraiji, S Liu, F Oderanti and P Megicks, 2015. New structured knowledge network for strategic decision making in IT innovative and implementable projects. Journal of Business Research 69(5): 1534-1538. DOI: 10.1016/j.jbusres.2015.10.012. I Linden, J Papathanasiou and S Liu, 2015. Editorial, Special Issue on "Integrated Decision Support Systems". Journal of Decision Systems 24(2): 103-104. J Moizer, D Carter and S Liu, 2015. Planning robust policing futures: modelling with multi-methodologies. Industrial Management and Data Systems 115(3): 462-482. S Liu, J Moizer, P Megicks, D Kasturiratne and U Jayawickrama, 2014. A knowledge chain management framework for global supply chain integration decisions. Production Planning and Control 25(8): 639-649. S Liu, P Zarate and R Ribeiro, 2014. Editorial, Special Issue on "Knowledge-based Decision Systems". Journal of Decision Systems 23(3): 229-231. A Alkuraiji, S Liu, F Oderanti, F Annansingh and J Pan, 2014. Knowledge network modelling to support decision-making for strategic intervention in IT project-oriented change management. Journal of Decision Systems 23(3): 285-302. U Jayawickrama, S Liu, and M H Smith, 2014. An ERP Knowledge Transfer Framework for Strategic Decisions in Knowledge Management in Organizations. International Journal of Innovation, Management and Technology 5(4): 301-308. S Liu, MH Smith, S Tuck, J Pan, A Alkuraiji and U Jayawickrama, 2014. Where can knowledge-based decision support systems go in contemporary business management – a new architecture for the future. Journal of Economics, Business and Management 3(5): 498-504. S Liu, Z Wang and L Liu, 2014. An integrated sustainability analysis approach to supporting strategic decision making in green supply chain management. Intelligent Decision Technology 8(1): 3-13. D Carter, J Moizer, and S Liu, 2014. Using Scripts for the Construction of Management Simulation Models in the Context of Multi-Agency Engagement. International Journal of Innovation, Management and Technology 5(4): 273-279. G Elkady, J Moizer, and S Liu, 2014. A Decision Support Framework to Assess Grocery Retail Supply Chain Collaboration: A System Dynamics Modelling Approach. International Journal of Innovation, Management and Technology 5(4): 232-238. D Carter, J Moizer and S Liu, 2013. Using groups to support judgemental parameter estimation VISCONS: "eyeballing" to capture a qualified group consensus. Expert Systems with Applications 40(2): 715-721. W Sun, G Zhang, J Scott and S Liu, 2013. Rural-urban migration decision making process: a whole and personal support network analysis. International Journal of Information and Decision Science 5(3): 312-330. S Liu, M Leat, J Moizer, P Megicks and D Kasturiratne, 2012. A decision-focused knowledge framework to support collaborative decision making for lean supply chain management. International Journal of Production Research 51(7): 2123-2137. S Liu, D Kasturiratne and J Moizer, 2012. A hub-and-spoke model for multi-dimensional integration of green marketing and sustainable supply chain management. Industrial Marketing Management 41(4): 581-588. IM Boyle, AHB Duffy, RI Whitfield and S Liu, 2012. The impact of resources on decision making. Artificial Intelligence for Engineering Design, Analysis and Manufacturing 26: 407-423. RI Whitfield, AHB Duffy, I Boyle, S Liu and I McKenna, 2011. An integrated environment for organisational decision support. Computers In Industry 62(8-9): 842-853. S Liu, RIM Young and L Ding, 2011. A decision support system for global manufacturing co-ordination in the automotive industry. International Journal of Computer Integrated Manufacturing 24(4): 285-301. S Liu, AHB Duffy, RI Whitfield and IM Boyle, 2010. Integration of decision support systems to improve decision support performance. Knowledge and Information Systems - An International Journal 22(3): 261-286. L Ding and S Liu, 2010. Metadata and mark-up in product and service design: a discourse. Journal of Future Internet 2(1): 74-95. PJ Wild, CA McMahon, MJ Darlington, S Liu, and SJ Culley, 2010. A Diary Study of information needs and document usage in the engineering domain, Journal of Design Studies 31(1): 46-73. S Liu, AHB Duffy, RI Whitfield, IM Boyle and I McKenna, 2009. Towards the realisation of an integrated decision support environment for organisational decision making. International Journal of Decision Support Systems Technology 1(4): 38-58. S Liu and IM Boyle, 2009. Engineering Design: perspectives, challenges and recent advances. Journal of Engineering Design 20(1): 7-19. S Liu, CA McMahon, MJ Darlington, SJ Culley and PJ Wild, 2008. An automatic mark-up approach for structured document retrieval in engineering design. International Journal of Advanced Manufacturing Technology 38: 418-425. S Liu, CA McMahon and SJ Culley, 2008. A review of structured document retrieval (SDR) technology to improve information access performance in engineering document management. Journal of Computers in Industry 59(1): 3-16. S Liu and RIM Young, 2007. An exploration of key information models and their relationships for global manufacturing decision support. Journal of Engineering Manufacture (IMechE Part B), 221(4): 711-724. S Liu, CA McMahon, MJ Darlington, SJ Culley and PJ Wild, 2007. EDCMS: a content management system for engineering documents. International Journal of Automation and Computing 4(1): 56-70. PJ Wild, SJ Culley, CA McMahon, MJ Darlington, S Liu, 2007. Towards a method for profiling engineering documentation. Journal of Strojarstvo 49(2): 61-70. ISSN 0562-1887. S Liu, CA McMahon, MJ Darlington, SJ Culley and PJ Wild, 2006. A computational framework for retrieval of document fragments based on decomposition schemes in engineering information management. Journal of Advanced Engineering Informatics 20(4): 401-413. S Liu and RIM Young, 2004. Utilizing information and knowledge models to support global manufacturing co-ordination decisions. International Journal of Computer Integrated Manufacturing 17(6): 479-492. Guest editor, Special Issue on Sustainable knowledge-based decision support systems for business performance improvement in real industrial environment", Industrial Management and Data Systems (IM&DS). Journal 2014 impact factor: 1.226. (Guest Editors: S Liu, B Delibasic, L Butel and X Han). Guest editor, Special Issue on "Integrated Decision Support Systems", Journal of Decision Systems, 2015, 24(2). Print ISSN 1246-0125, online ISSN 2116-7052 (Editors: I Linden, J Papathanasiou and S Liu). Guest editor, Special Issue on “Knowledge-Based Decision Systems” for Journal of Decision Systems, 2014, 23(2). Print ISSN 1246-0125, online ISSN 2116-7052 (Editors: S Liu, P Zarate and R Ribeiro). Guest editor, Special Issue on “Prediction, Simulation and Optimization Methods for Decision Making” for International Journal of Decision Support Systems Technology, 2013, 5(3). Print ISSN: 1941-6296, online ISSN: 1941-630X (Editors: F Dargam, S Liu and I Linden). Guest editor, Special Issue on “Modelling Decision Systems for Critical Applications” for International Journal of Decision Support Systems Technology, 2013, 5(2). Print ISSN: 1941-6296, online ISSN: 1941-630X (Editors: F Dargam, S Liu and I Linden). Guest editor, Springer book on “Decision Support Systems in Industries, trends and solutions in the 21st century” for Lecture Notes in Business Information Processing, 2013. ISSN: 1865-1348 (Editors: Jorge Hernández, S Liu, P Zaraté, F Dargam, B Delibasic and R Ribeiro) (in progress). Guest editor, Springer book on "Decision Support Systems – Collaborative Models and Approaches in Real Environments" for Lecture Notes in Business Information Processing (LNBIP vol. 121), 2012. (Jorge Hernández, Pascale Zaraté, Fatima Dargam, Boris Delibasic, S Liu and Rita Ribeiro). ISSN 1865-1348, ISBN 978-3-642-32190-0. Editor for workshop proceedings, EWG-DSS 2012 Liverpool Workshop on “Decision Support Systems & Operations Management Trends and Solutions in Industries”, 10th-12th April, 2012, Liverpool, UK. (Fatima Dargam, Boris Delibasic, Jorge Hernandez, S Liu, Rita Ribeiro and Pascale Zarate). ISBN: 978-0-9561122-4-8. 2016 International Conference on Decision Support System Technology (ICDSST 2016), 23-25 May 2016, Plymouth, UK. The 5th International Conference on Financial Management and Economic (ICFME 2015), 3-4 July 2015, Bangkok, Thailand. EWG-DSS 2015 International Conference on Decision Support Systems Technology (ICDSST 2015), Belgrade, Serbia, 27-30 May 2015. The 4th International Conference on Strategic Management and Research (ICSMR 2014), Plymouth, UK, 3 - 4 July 2014. The 4th International Conference on Financial Management and Economics (ICFME 2014), Plymouth, UK, 3 - 4 July 2014. The 3rd International Conference on Society, Humanity and History (ICSHH 2014), Plymouth, UK, 3 - 4 July 2014. 2014 International Conference on Economics, Business and Marketing Management (CEBMM 2014). The 2014 EWG-DSS and INFORMS Joint International Conference on Group Decision Making (GDN 2014), Toulouse, France, 10-13 June 2014. 2014 Higher Education Academy (HEA) seminar series, workshop on "Exploring innovative approaches to experiential teaching and learning in Management Decision Making education", held on 23rd April 2014 in Plymouth. This workshop was funded by UK HEA.